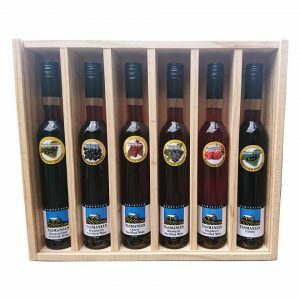 Treat someone special (or yourself) to a mixed pack of Hartzview’s premium Tasmanian Fortified Wine. 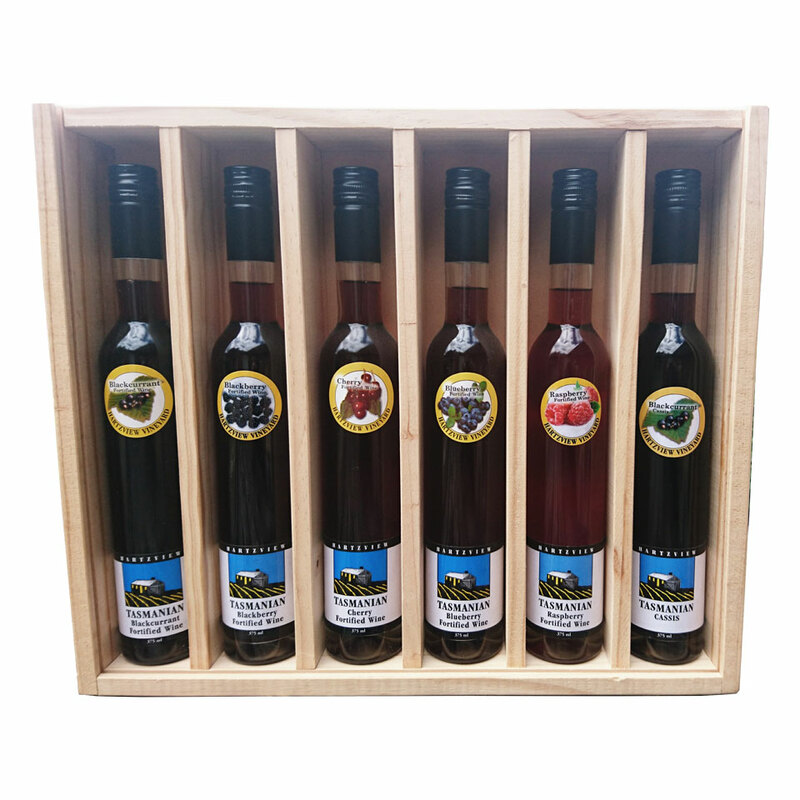 Display box includes: 1 x 375ml Blackcurrant Fortified Wine, 1 x 375ml Blackberry Fortified Wine, 1 x 375ml Cherry Fortified Wine, 1 x 375ml Blueberry Fortified Wine, 1 x 375ml Raspberry Fortified Wine and 1 x 375ml Tasmanian Cassis. Box is made from wood with a perspex window.